Initially, the trailer to United Passions looks like a jolly period comedy about a bunch of Europeans (and a few South Americans) who love the idea of children playing informal ball games in picturesque fields and then proceed to make a lot of random money. For the good of the game, or something. But, no. Apparently, this film is for real. FIFA president Sepp Blatter has caused yet another storm by committing the world football body to the multi-million-pound funding of a film that is regarded as little more than a giant vanity project. United Passions, which was launched with Blatter in attendance at the Cannes film festival yesterday, tells the history of FIFA through founder Jules Rimet, played by Gerard Depardieu, Joao Havelange and Blatter himself — who is depicted by Tim Roth. It is understood the film, which has received a lukewarm reaction, cost £19million to make, of which FIFA paid £16million, although a Zurich source claimed it was only half that amount — but still a huge investment. 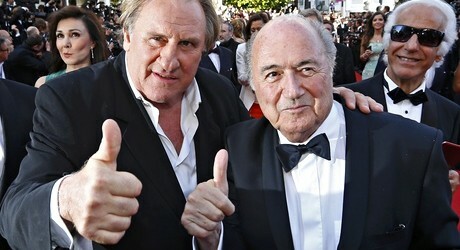 French actor Gerard Depardieu and Sepp Blatter give United Passion a thumbs up. There is great angst within FIFA that Blatter made the personal decision to commit to such a vast spend after being strongly advised to steer well clear of the proposed film — brought to his attention by Algeria’s FIFA executive member Mohamed Raouraoua. It is North African sources who are adamant that Blatter has bankrolled at least 85 per cent of the movie, which is expected to be a box-office flop. 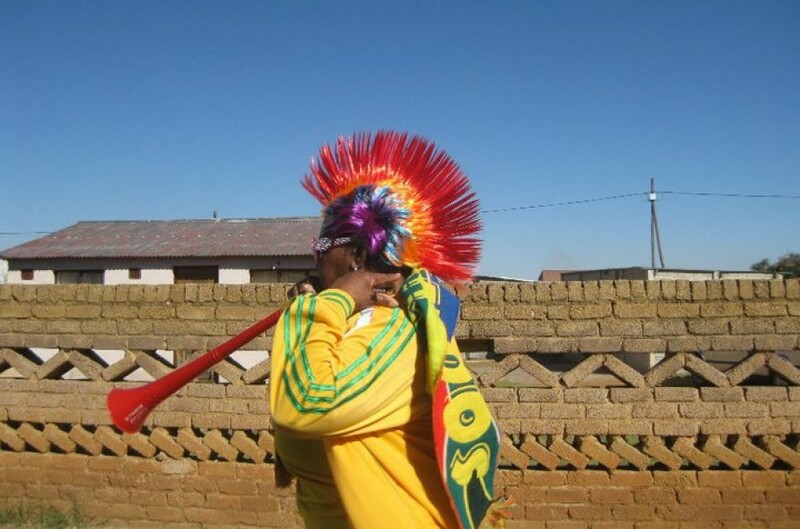 Once involved, Blatter was very hands-on in the production. Having seen an original draft back in March, the FIFA president demanded a number of changes, including him lecturing the FIFA marketing department, as opposed to the FIFA executive, on rooting out corruption after his first election in 1998. 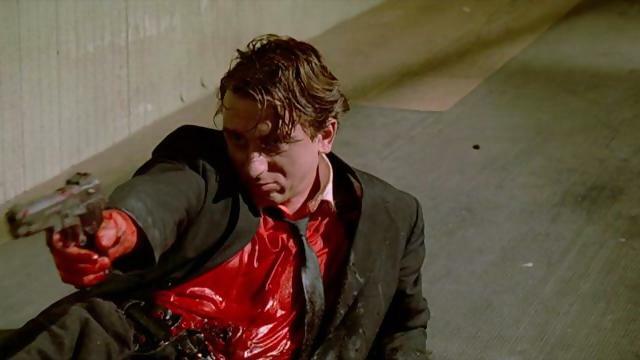 Tim Roth, as Mr Orange in Reservoir Dogs. He plays Sepp Blatter in UNited Passions. Blood not included. Reservoir Dogs plot recap: Mr Orange was a cop working undercover in a bank heist that goes badly ‘wrong’. Yet, bloodied and seemingly out for the count, he still manages to do some good in what may have been his final act ever. Oh, Sepp. You couldn’t make it up, could you? Have we already forgotten the famous “Goal” trilogy made under FIFA’s umbrella? Should be interesting to see Tim Roth gain 60 pounds or so for this role.